We are always gratfeul for the kind words we receive from our clients, both past and present. Below is a list of reviews that our clients wanted to share in order to give you a better understanding of what it is like working with us. If you have any questions, please contact us. We are so very happy to have found Tommy and Corday. They have taught us so much. We can now walk calmly on the leash, have pleasant vet visits, clip nails, follow commands, and even do a few tricks. I love that during our private lessons at our home Tommy taught the dogs (and us) that when doorbell rings they run to their crate and wait to be released. Now our guests can come in and get settled. Both Tommy and Corday are very punctual, practical, and great teachers. Their enthusiasm leaves us excited for our next lesson. 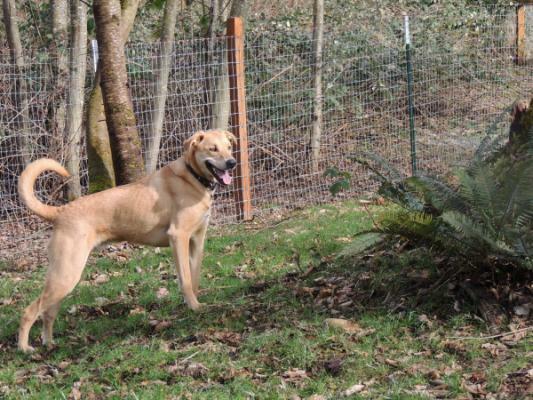 We rescued our dog Basil, lab/shepherd mix, as a puppy and quickly started taking advantage of the puppy socials and basic obedience training available in the Seattle area. It wasn’t until he was about six months old that he started showing signs of leash aggression and barking/lunging at people on walks. It was stressful to take Basil on walks, he would bite the leash and us, we couldn’t determine his triggers, and had a bite episode. We exhausted our resources in Seattle; taking him to learning labs, private training, troubled teens, and group classes. We finally met Tommy when Basil was about 18 months old, and our world changed. His approach was different, instead of focusing on Basil’s ‘problem behaviors’, he focused on improving our basic communication and relationship. His approach worked right away. We worked with Tommy in private sessions for several months. We appreciate him getting to know us and Basil and teaching in a way we could be successful. Simple techniques to work on between visits to improve our communication. Great examples, for practicing the right tone for commanding Basil’s attention. Always working on improving our walk and recall consistency. We felt like other schools had a method they use for all dogs, while Tommy provides more individual training techniques suited to our dog and us. Tommy helped create a structure for Basil which he thrived in. We were able to have guests at our house. Tommy gave me the tools to introduce Basil to other people. We could take him to a park and sit and relax. Because of the success we had with Tommy in private sessions, I was motivated to enroll Basil in a board and stay program. We believe Tommy is a natural advocate for dogs. Recently, using the tools Tommy gave us, were able to introduce Basil to a friends 10 month old baby girl, as she crawled all over his dog bed. Before, we would have kept Basil in a room until our friends left. We wanted the best for our dog Basil, and Tommy gave us the tools to make that possible. We have been lucky enough to work with both Tommy and Corday at Evergreen School for Dogs. Basil loves them so much and gets excited if we are even close to their school. We trust both of them with Basil and would recommend them to any dog owner with any issue or question. We brought our 2 year old Lab to Evergreen for leash pulling and bad social skills; our lab was aggressive toward other dogs. Tommy Grammer, listened to our concerns, watched how our lab reacted to other dogs, as well as watched how we reacted to situations and then tailored our lesson time to our specific needs and problems. He patiently helped us learn how to train and redirect our dog, and helped our dog to gain confidence by giving him practice with other dogs in a controlled environment. 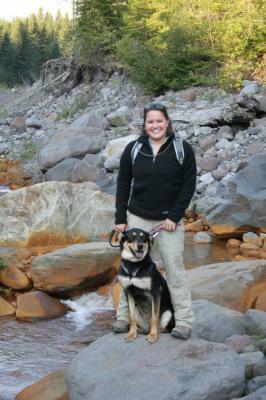 We are very pleased with the results and now have the confidence to go out on hikes and walks with a well behaved dog. I have been working as a veterinary technician for the past 11.5 years. As such, I've come across plenty of sick and injured animals that needed my help. Over the years I have fostered and rehabilitated countless dogs, cats and ferrets and have put them into fantastic forever homes. 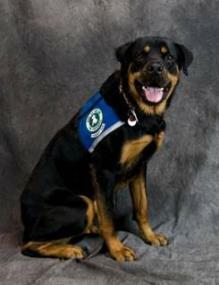 Clyde is a Rottweiler that came to me in 2006 as a young puppy with parvovirus, a fatal gastrointestinal disease. I had just lost my 11 year old Siberian husky, had three more dogs at home and was fostering ANOTHER recovering parvo puppy, so it was not in my plans to keep Clyde. Things change, though, and it was quickly determined that Clyde would be a permanent resident. Clyde was a hyperactive, destructive bully! When talk of re-homing Clyde came up, I knew I had to act fast. That is when I found Tommy. I was amazed at Tommy's patience and ability to have Clyde working for him in minutes! Through several private lessons, Tommy taught me how to effectively communicate to Clyde what I wanted. Now I have a healthy, happy 3 year old dog that has since become a Canine Good Citizen (through Tommy & Corday's CGC class) as well as a registered therapy dog with Therapy Dogs, Incorporated. Clyde and I still go to classes when we can, and I can always count on Tommy to answer any questions I have regarding problems or training plateaus. I highly recommend Tommy & Corday to anyone looking for compassionate and knowledgeable dog trainers. 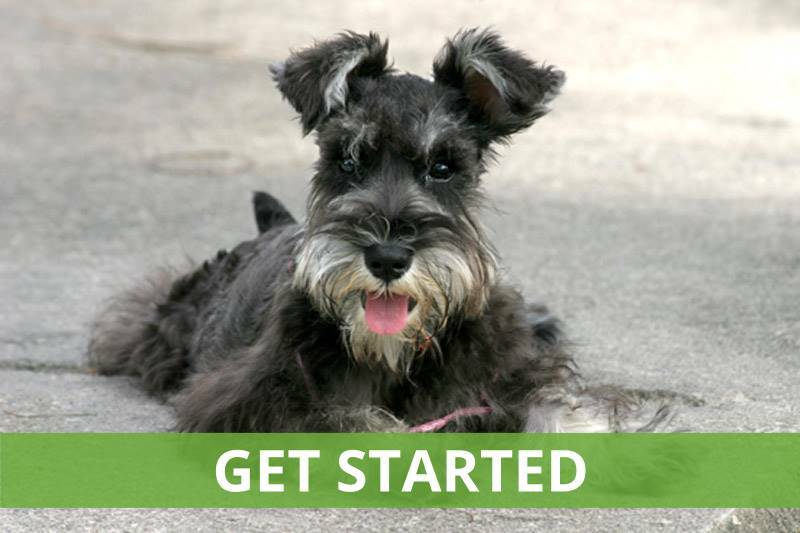 I highly recommend the Evergreen School For Dogs to anyone looking for training for their dog. I have a 9 month old Medium Goldendoodle named Lotus that I had to leave while on a Yoga retreat in Bali and searched high and low for a boarding/training school I could leave her with and felt comfortable with. I called and talked with them then took Lotus out to meet them and they were great with her and walked me through all they would work on with her. Several weeks later I dropped her off for her 2 week stay which was so hard to do as I knew she would wonder why I was not coming back but I need not have worried, Corday sent me emails with photos letting me know Lotus was settling in well and having fun with the other dogs. Just picked her up today where they both spent time walking me through everything they had trained her to do and it was amazing she was like a different dog. I cannot praise this couple enough for the wonderful caring job they did and I know Lotus will miss them both. She is happily sitting on her bed here at home and my life with her is going to be so much easier now. Thank you so very much for all your patience and hard work, you are both amazing kind people! 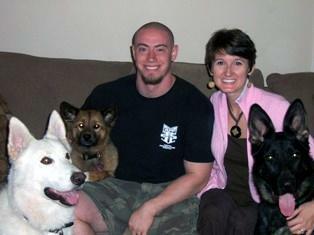 My dog Grizz has been through multiple dog training programs in Seattle, including private lessons. I’ve always trained him, but as smart as he is he is also unbelievably stubborn (yep, Chesapeake Bay Retriever). And he is 90 pounds of pure muscle, which made walking him & getting him to do what he is told a total nightmare despite all the training. But Tommy & Corday worked very diligently with him. When I picked him up, he was the same sweet dog as always, but a totally different one who actually listened to me! Grizz has stayed there several more times since then when I’ve been traveling & the last time they worked on his severe anxiety in cars with real success. Not only do Tommy & Corday understand dogs on a very subtle & psychological level, they also really love them & give him lots of attention & great care. To top it off, Grizz loves staying there – when they’re not training, he gets to run around in their huge fenced yard & play fetch to his heart’s content. I highly recommend these guys!! I can't thank Tommy and Corday enough for the excellent care they gave our puppy, Kona. At 3 months old we needed to leave her for 3 weeks while we went on an extended vacation. I started communicating with Tommy before Kona came home with us to make sure this would be a suitable plan. He was great about reassuring me as I had many concerns and was always prompt in responding to my questions. Tommy came to our home a week prior to her stay to see what we had worked on and gave us a short training lesson. While in their care Tommy took Kona to the vet as she was due for her third vaccination. Tommy corresponded with us while we were away sending photos and video updates on how things were going. We are so pleased with the care she received. It is obvious that she was well loved and given plenty of attention. She also learned great puppy puppy manners and is behaving amazingly once we have brought her home. We spent time with Corday and Tommy when we picked Kona up to learn all the skills they had taught. They did a great job working with my daughters to help them learn how to train the puppy once we got home. I would recommend Evergreen School for Dogs for any training/boarding needs a person had. Thank you so much for taking such great care of our precious baby! Hey Tommy! Thank you for everything with teaching us how to train Max and Madi. They are doing well. Its just that you have to stick with them and then they eventually get it. They are still doing much, much better than before. Our neighbors and friends are still impressed. It is amazing how you knew how to get them to do what you wanted them to. My sister calls you the Dog Whisperer for that reason. You make it look so easy! After calling around to different dog training/obedience schools, I called and spoke with Tommy Grammer. I told him about our two dogs and the aggression problems that we were having with them. I was very impressed with his knowledge and his honesty, so I set up an appointment for him to come to our house and evaluate our dogs. Tommy evaluated our dogs and we set up appointments for him to come to our house to start the training lessons. When Tommy first came to our house, our dogs were very jealous and aggressive towards each other. They couldn't even be in the same room at the same time. They were also very shy around people that they didn't know. During the training lessons, we learned a lot about dogs' behavior. Tommy would observe us and the dogs and show us what to work on with the dogs until the next lesson. We did what he told us, and after about 5 lessons, the end result was fantastic! Our dogs now get along great! They play together, sleep in the same room and even eat together without fighting over food. They are also not as shy as they were before. It is such a welcome change! We couldn't ask for a better dog trainer. Tommy was very easy to work with, prompt with the appointments, very knowledgeable and was always willing to answer any questions. Without hesitation, we highly recommend him. 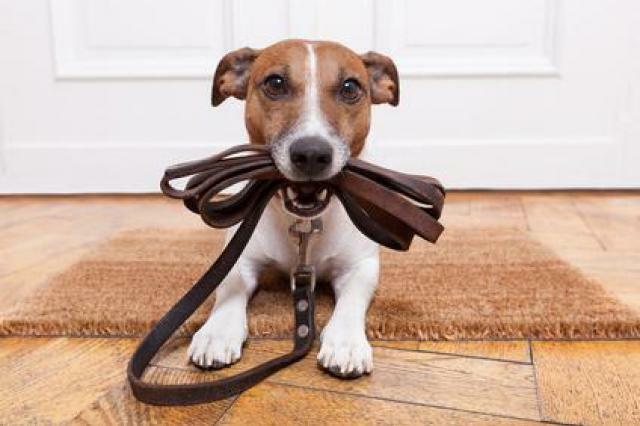 You and your dog will gain a great deal from the experience. 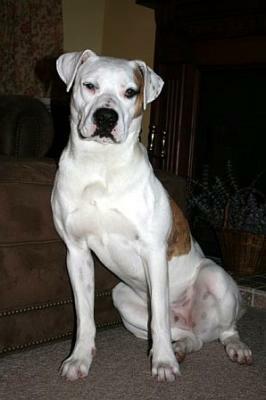 - Beth & Brian W.
Buster is a 1-2 year old American Bulldog. Once we got Buster home it did not take long to find out that he came with quite a few issues and now know why his name is Buster. He had a lot of separation anxiety, very aggressive on a leash towards other dogs and occasionally to unfamiliar humans. We felt we may have bit off more than we could chew. He posed such dilemma because in the house he was such a mush pie. We were ill-equipped to deal with these problems, but did not want to give up on him. We obtained information off the internet and felt Buster was worth the investment of sending him off to "Boot Camp". When we got him back we knew immediately that we had done the right thing! We cannot say enough good things about the changes in him. He now goes to the dog park and plays freely with other dogs. He is great around people and is a continuous source of joy. Corday and Tommy have worked a miracle for us. With continued work, Buster gets better and better! Our deepest gratitude especially from Buster to Corday and Tommy. Tommy was exactly what I was looking for. 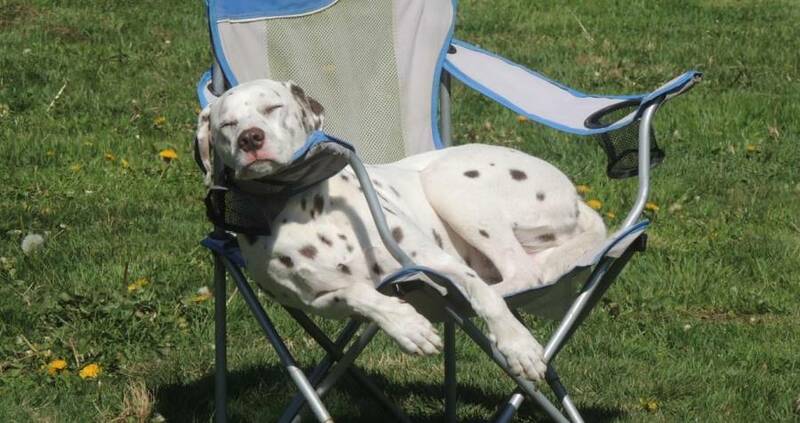 He knows what he's doing, and he has the solution for any problem you may be facing with your pet. My beloved Perseverance has had possessive and anxiety aggression issues since I got him as a puppy. 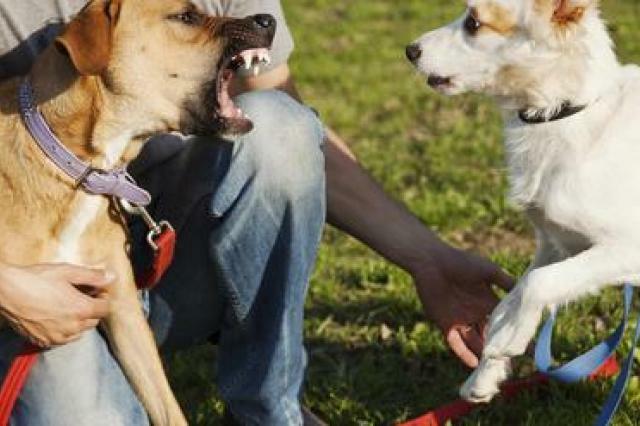 The two issues we struggled with where aggression over food/chew toys, and attacking small animals. I have several friends with dogs who like to bring them over for get-togethers at my house. I would have to keep Percy inside and the others outside or vice versa to keep them separated. I feared that Percy would really harm them if he could get close enough, as he had drawn blood on a kitten and two puppies that we brought to the house in the past. He also drew blood on a puppy at the dog park. Tommy not only showed me practical ways to interrupt Percy's mindset when he started to hone in on a dog he was leery about, but he explained why Percy may do the things he does. Percy has bilateral hip dysplasia and may have learned aggression as a protective mechanism. Especially since Percy's track record with drawing blood is with young animals, it indicates that he gives warnings that may not be recognized by young animals, and Percy may feel he is protecting himself. I also learned that Percy's bites on the face and backs of the neck were not intended to kill, phew that was a relief. We practiced a lot of "come" and "leave it". Initially, I thought, "how is this really going to help?" But to my surprise, I was able to say "come" with pretty much any temptation in front of Percy and he would stop in his tracks, turn around, and run towards me! I'm confident that if I see a puppy at the dog park, I could say "leave it" and Percy would listen. I also believe that when I see his ears back, head still, and eyes thwarting right and left in his pre-attack mode, I can break his thought pattern with "come". I also know to protect Percy from dogs who don't pay attention to his warnings to stop jumping on him. His hips hurt, and if I don't protect him, he will do it himself. Tommy miraculously helped me teach Percy to remain on the front porch as I let another dog into the yard, no barking, no growling. He advised me to take them on a walk together on "neutral grounds" prior to bringing the dog into the yard to let them get used to each other's smells. Tommy was able to not only bring a young male German Shepherd into the yard, but also the house!!! Percy listened to me the whole time. I would tell him to "lay down, stay" while the other dog came in and checked out the house. Then I would release him for a few seconds. If he started getting anxious, I would say "come, lay down, stay" until both dogs were relaxed and Percy had no issues with him being in the house. I could not believe it! Come to find out, I exacerbated Percy’s food aggression. I thought in order to show him who was boss, I would interrupt his eating regardless of his growling at me. Tommy pointed out to me that by taking things away from him, he felt a higher sense of need to be possessive. My plan totally backfired. Instead, Tommy instructed me to say Percy's name as he is eating with treats in my hand (better tasting than dog food), then pick up his food bowl and place the treats in it and give it back. That way, Percy learns that surrendering his food bowl equals treats in his food bowl! I can’t be more thankful for what Percy and I have learned from Tommy. When I felt like Percy was just beyond repair, Tommy showed me otherwise. I am so grateful for his help! Old dogs can learn new tricks! (with Tommy’s help anyway) I got a 3 year old chocolate lab that had been in several places for different reasons. He had several old habits that needed to be corrected. The primary reason that I contacted Tommy was to stop Cappy from running out the door every time that it opens. He is very quick and I was doing a lot of chasing. Now he sits and waits to be "allowed" out. My friends and family said that they can see a real improvement in him. He is much calmer these days. It has been a great learning experience for both of us. I can’t say enough good things about Tommy and his approach to training. If anyone is interested in dog training, look no further. This is the place to be. Thanks for everything. We received our dog Brutus, from a co-worker who could no longer take care of him. He was 14 months old, and an extremely high-spirited playmate. It was very apparent that his previous owner did not have the time to adequately discipline him, as he did not recognize the most basic commands. He was hyperactive and uncontrollable. We contacted Tommy Grammer and arranged a 5-week training program for Brutus. Brutus was immediately receptive and willingly cooperated with Tommy. Brutus quickly caught on to basic commands such as, sit, down, stay, come, etc. This may sound like simple tasks, but when we attempted these commands prior to his formal training, he had very little interest in obeying. Tommy taught us how to effectively relate to Brutus by establishing a leadership role and regularly praising good performance. We are very proud of the progress Brutus made in such a short time, and he continues to willingly cooperate. 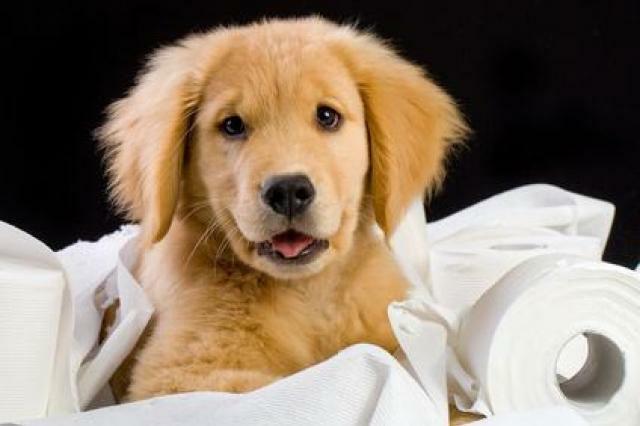 We highly recommend Tommy Grammer for those wayward canines! To any prospective client: Electing to select Tommy is the best decision that you could choose for the well-being of both your pet and for yourself. Having a well-trained dog responds to you in a positive way, will reward you with an amazing relationship between you and your pet that you will greatly cherish. Tommy is an excellent trainer and would benefit anyone looking to improve the quality of his or her dog. I just wanted to thank you from the bottom of my heart for all you have done. As alot of people know having a Weimaraner is challenging within itself and I thought it would be impossible to train this aggravating, high strung dog.... However, from the very first session you had with Dusty I knew he would be able to accomplish just about anything if we had your guidance to lead us in the right direction...Dusty is continuing to do great with his obedience and everything we have learned thus far...And I say "we" because this has been a tremendous learning experience for me as well...I have learned to have more patience, and have fun while we are learning together. I would not hesitate to recommend Tommy to anyone.. Thanks for helping me love this wonderful dog even more!!!!!! Thank you for everything with teaching us how to train Max and Madi. They are doing well. Its just that you have to stick with them and then they eventually get it. They are still doing much, much better than before. Our neighbors and friends are still impressed. It is amazing how you knew how to get them to do what you wanted them to. My sister calls you the Dog Whisperer for that reason. You make it look so easy.